2016 was a fab year for film in my eyes not necessarily due to the calibre of the releases from the year but, I made a decent number of visits to the cinema comparatively to the year before and even went to a viewing at the Prince Charles cinema in London - something I've been meaning to do for years. 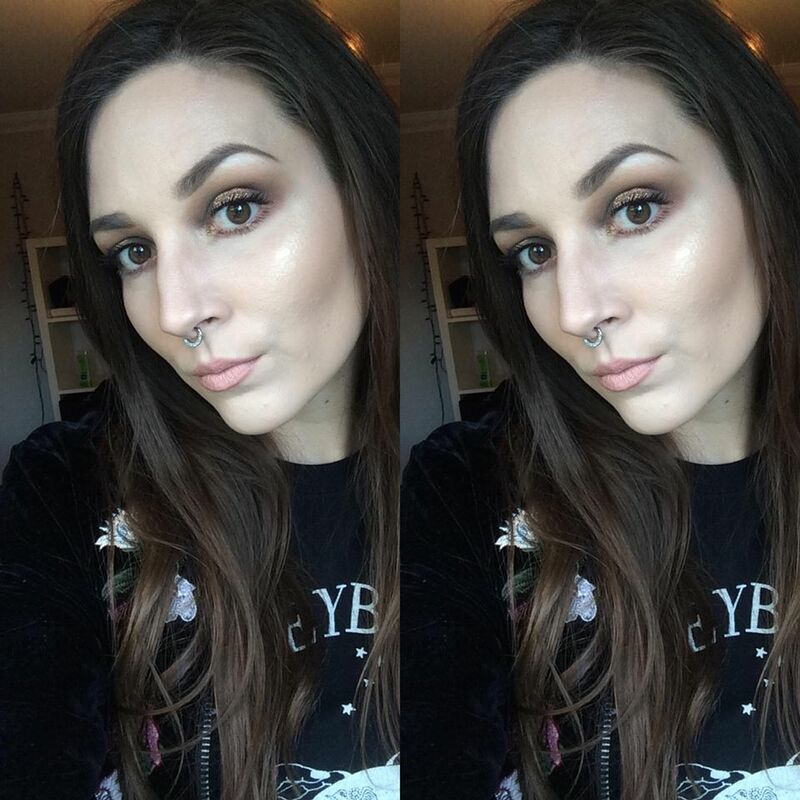 Let's run-through my top 5 film viewings for the year! SourceIn case you missed the 1967 Disney classic or Rudyard Kipling's collection of stories, Jungle Book tells the tale of a feral orphan, Mowgli, who is raised by wolves in the jungle. Following threats from Shere Khan, a man-hating tiger, we follow his exit-journey to the man-village alongside the friends and foe he meets along the way. 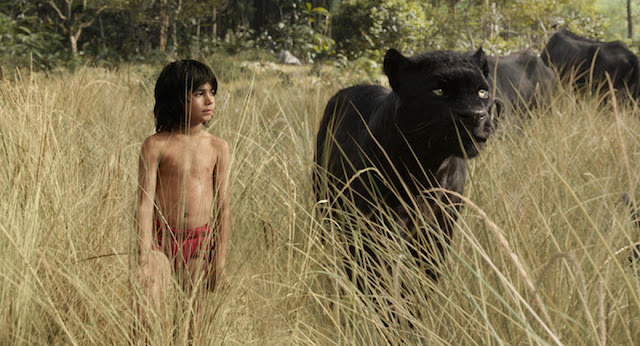 The story is pretty familiar, so what is it that lands The Jungle Book a place on my 2016 favourites list? The live-action remake of this classic is visually spectacular and the use of CGI is just incredible. What's more is the talking animals are mesmerising and brought to life by some of my favourite Hollywood names - Scarlett Johansson is the husky voice-over for Kaa the snake and laid back bear Baloo is played by Bill Murray. All round, a great revamp of a dated Disney. 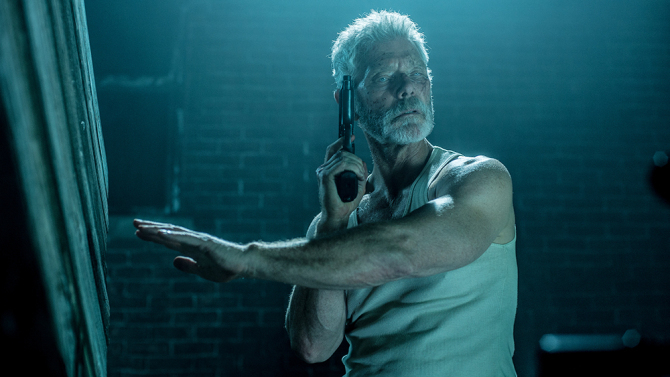 SourceA group of seasoned burglars have dollar signs in their eyes when they learn of a local, blind ex-army veteran (Stephen Lang) with a fortune. However getting hold of the loot isn't quite as simple as they anticipated as when they attempt to break in, the home owner wakes up and isn't going down without a fight - he has a dark secret to protect. As you'll know if you saw the 2013 remake of Evil Dead, director Fede Alvarez is an expert in building tension. The name of this movie is so apt, I spent half of the viewing holding my breath and on the edge of my seat thanks to a whole lot of jumps and the odd sprinkling of gore. It's main pitfall is that at times it dabbles into the realms of being completely unplausible with about three too many twists but Don't Breathe is still a clever and unique thriller that I won't be forgetting in a hurry. SourceSet in New England in the 1600's, The Witch follows a family of six (parents William and Katherine, Thomasin, their eldest daughter, their son, Caleb, their two younger twins named Mercy and Jonas and new born baby), banished from their local village, and set up home in a remote farm house on the perimeter of a forest. A number of awful, unexplained things start to happen to the family, starting with their crops failing and the disappearance of the baby. The sequence of misfortune and sadness continues and the family's loyalty in one another is tested as they wonder if Thomasin is a witch and behind the events. 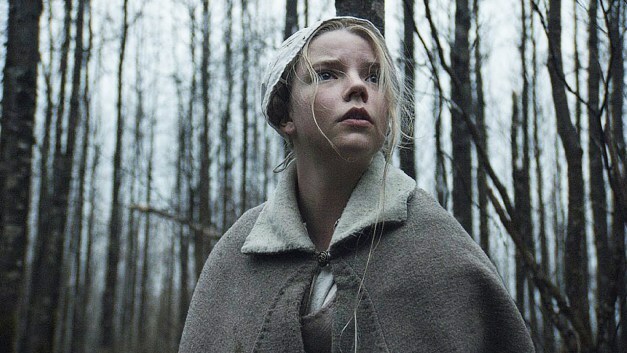 When I saw the trailer and it became apparent that the film was set in the era of witch trials and folklore, I knew it was one I had to watch. The Witch is simple but clever, super eery and unsettling. Unlike the majority modern horror films it doesn't heavily rely on jump-scares or CGI ghouls or monsters. Instead, Director Robert Eggers uses silence and music rich with creepy-sounding violins and banshee-style screams teamed with a script taking excerpts from genuine diaries of people from this historic period. What also makes this Sundance Prize winner so powerful is how believable the character's genuine fear in black magic/witches is. In places it is a bit slow-paced and you have to pay attention to understand the old English dialect but overall, the result is haunting and believable - one of my favourite horror films of recent years. SourceShe may be female, have an animal sidekick, overprotective parents and be prone to bursting into song at any given time (the soundtrack is fantastic, by the way) but Moana is not a Disney princess. Rather than the damsel in distress trope, she is the daughter of the village chief, and more importantly, a hero who has to save her home, a Pacific Island named Motonui, from a curse instilled on it thanks to Demigod Maui (played by Dwayne Johnson). The majority of the cast is made up of actors and actresses of Polynesian descent and a number of the songs sung in the native tongue. 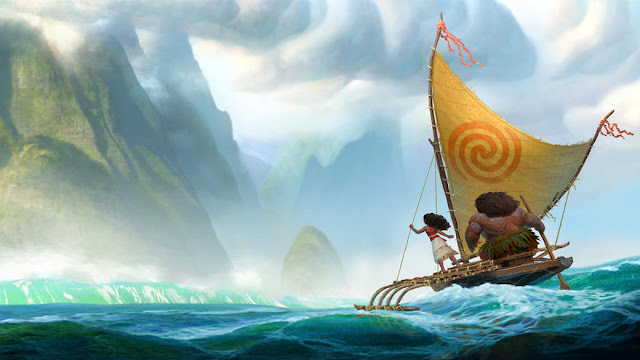 Highlights for me include Auli'i Cravalho as the stunning voice for Moana and Jermaine Clement is hilarious as over-sized crab villain, Tamatoa. For the most part, Moana teeters on the right side of the line of cultural appreciation/appropriation but is not without fault. Moana is however, a new and positive take on the Disney female protagonist, showing greater diversity and a fun feel-good film for the whole family. 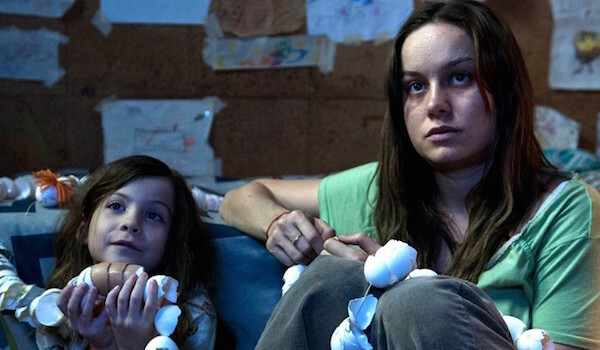 My number one of 2016 is the Oscar award-winning, Room. Jack, a young boy, and his mother live (unknowingly to the boy) against their will in a small shed he named Room. Shortly following Jack's 5th birthday, his mother plots their escape. Most kidnap/false imprisonment stories, that I can think of fall into the genre of thriller/horror, focusing on torture and then ending when the characters die or as they escape. If you've have seen the trailer then you'll know how and why Room is different. I strongly recommend watching the movie without watching the trailer prior to that, as I did, - it gives away a main aspect of the plot that doesn't happen until about half-way through (this also explains why my plot summary is so short and why I had such trouble finding a reasonable photo from the film to use!). The acting by Brie Larson and Jacob Tremblay is just phenomenal and the chemistry between them feels so real. Although the film offers a sliver of nail-biting and edge of seat action, the main themes are relationships and growing up, when the World, as we know it is completely alien to you - ultimately, Room is a drama. If the film is this good, I can only imagine how moving the book is. What did you think of these films? What were your favourite movies of 2016?